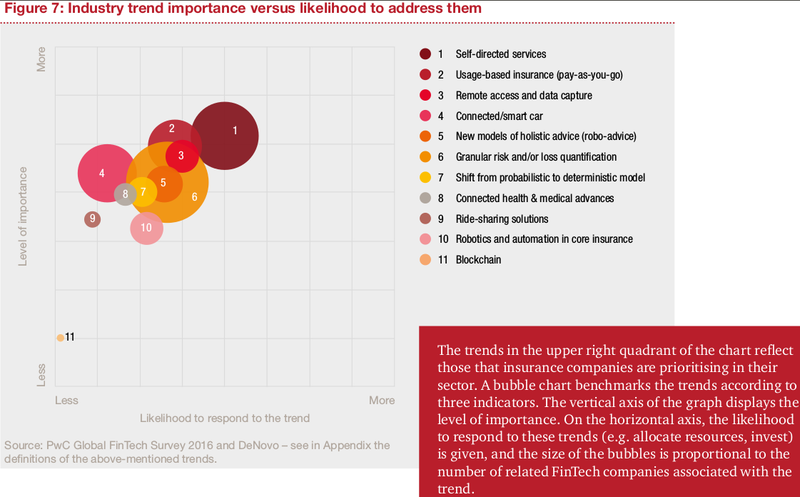 Insurance needs to wake up to blockchains! I was curios to see how the sector in general thinks and this report from PWC does confirm to the bias that i had. As you would see, Blockchain does find a mention even though it is a much much lower than what you would expect. Insurers, like banks, are intermediaries and, at first glance, there is great potential for insurers to use blockchain technology to streamline payments of premiums and claims. Aso of today, Actuaries and underwriters are now heavily dependent on the data. This data can be brought to them from a lot of sensors now. For example in telematics, insurers are using data from sensors to price motor risk more accurately, reducing the premiums of young safe drivers, and this technology is spreading to other types of cover, such as home insurance. Till date, Insurance sector, amongst other similar sectors is ridden by huge unaccountable losses in light of fraudulent claims. claims are then made by the various criminals involved. These so-called ‘crash for cash’ scams cost the industry around £400 million a year. 4 Where claims are made against multiple policies held by different insurers, it becomes difficult to detect the fraud unless cross-industry data is shared. We have been setting the stage a lot for blockchains but how does it help? Smart contracts with IoT is a huge win for the insurance and the financial industry in general. With identity management being embedded in the smart contracts the situations for Crash for Cash would be long gone. Further this would be a blockchain which would be public (ideally) or private but shared within the insurance sector then all this information of a person who would jump from one insurance company to the next and not share all the information would be a distant past. Reinsurance expense ratios are typically 5%-10% of premiums. Our analysis of the potential for both more efficient data processing and reductions in claims leakage and fraud indicates that blockchain solutions could remove 15% to 25% of expenses, so delivering an industry-wide saving of $5-10 billion. And faster placement and settlement opens the way for a significant boost in client satisfaction and retention. With blockchains, there would be a win in terms of processing, opportunities for new business lines and immense transparency which has been a thing of the past for now amongst insurance companies. With all companies sharing their information on the blockchain, it would be a different world in which legitimate insurance claims would help bring the cost of insurance down and add value to everyone. If this sounds interesting then get in touch with us and we would show you how your company can win with blockchains. What would kill Uber, Airbnb, TripAdvisor in one go?